Nissan GT-R receives three shades of bling with a gold body, gold wheels, and gold tinted windows. This is perhaps the “goldest” gold-wrapped GT-R we have ever come across. 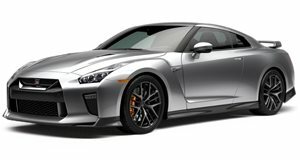 Nissan teamed up with Olympic sprint champion Usain Bolt last year, auctioning a gold-colored supercar killer on eBay with almost $200,000 going to charity. Then there was the gold-wrapped GT-R that was pictured in China with an Asian babe hanging out the window. This example is by vinyl specialist WrapStyle, who covered Godzilla with a gold vinyl wrap before painting the wheels and tinting the windows to match. Now that&apos;s a lot of gold.